Craftsman Home Remodeling has been happily satisfying home improvement customers for over 50 years. From our first clients in Rochester, NY that still request our professional services, decades later to new and old residents of the Rochester area alike. The family at Craftsman Home Remodeling has always worked hard to familiarize our customers with our products and help them choose the best ones for their home. All it takes is for you to contact us to get your FREE in-home estimate. Your home’s interior undoubtedly reflects your personal taste and style. Why not the exterior? The top quality vinyl siding that Craftsman Home Remodeling utilizes is the perfect compliment to the outside of your beautiful home. We’ll give the outside of your home the same personal touch and qualities as you do the inside. All of our custom siding craftsmanship comes with a LIFETIME WARRANTY on labor in addition to varied warranties on materials. We offer prompt, courteous, professional service and always use the highest quality building materials for every home remodeling project. There is only one way to have vinyl siding installed on your home and that’s the proper way: the Craftsman Home Remodeling Way! With us, you don’t worry about overcharged neglectful contractors that void their “Lifetime Warranty” before they even finish the job. Moreover, other serious problems that may occur from bad installations are water damage to your home’s structure, mold growth, and a higher energy bill due to air infiltration. We’ll charge you once. The other guys will charge you for years to come. 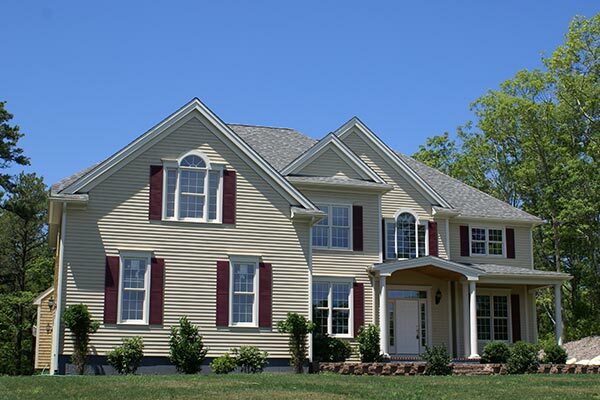 With over 50 years of experience, Craftsman Home Remodeling specializes in siding and custom bent trim of the highest quality, installed with professionalism and you in mind. We appreciate your interest in our company, and we hope you have a better idea why Craftsman Home Remodeling is your one-stop-shop for all your residential project needs! If your siding is in need of repair, you can call us and we will arrive at your location ASAP, most times within 24 hours. Our specialists are trained to repair leaks, cracks, rust, damaged soffit or fascia, missing panels, and even fungus, so no matter what’s wrong with your siding, we can fix it once and fix it right!